Suitable for vegetarians. Same sugar as a glass of milk? ?Average milk contains 4.7-5.0g sugar per 100ml (semi/skimmed/whole). Energy fibre protein from iron* *Iron contributes to normal energy yielding metabolism as part of a healthy diet and lifestyle. 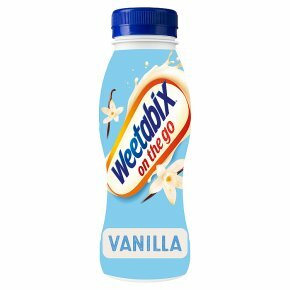 33% less sugar than the dairy breakfast drinks category (4.9g/100ml. Category average 7.4g/100ml.) Calculated June 2017.